British driver Jordan King has made his way through karting and junior formulae, backed by his businessman father Justin. The young driver joined the GP2 Series in 2015, whilst at the same time signing up to become a development driver for Manor F1. During the 2016 season, King’s driving skills were called upon to participate in a single practice session towards the end of the season. Jordan King has plenty of funds backing his racing career, as he is the son of businessman Justin King, the former CEO of Sainsburys. Jordan has taken the traditional karting route towards his single seater career, joining Formula Renault for the summer and winter series in the UK. He participated in the Formula Palmer Audi series when they raced at Silverstone, and he finished on the podium for one of his four events. 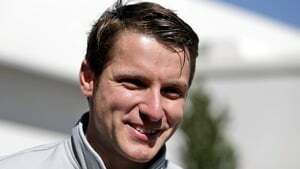 After testing a Formula Two car a couple of years earlier, King joined the series in 2011, racing three events during a break in his Formula Renault gig. In 2015, he graduated to the GP2 Series, driving for the Racing Engineering team. He was also signed as a development driver for the Manor Racing F1 team. This association allowed him to participate in Friday practice for the squad at the US Grand Prix weekend of 2016.